now my thought was "it's a white soft rectangle, it means don't use this as a pillow." 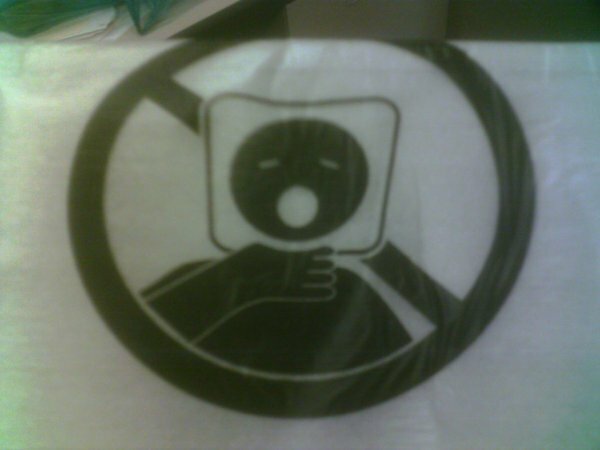 it's a guy with the rectangle behind his head and yawning, while moving his hand to cover his mouth with his hand. jason on the other hand immediately saw it as don't put this bag over your head and die. i think mine is funnier, though while his is a more common warning topic, it is an interesting new way to display that. the other fun tidbit of information about this warning label was that the image was at the very top toward the sealed end of the bag, which was about 24 inches long. 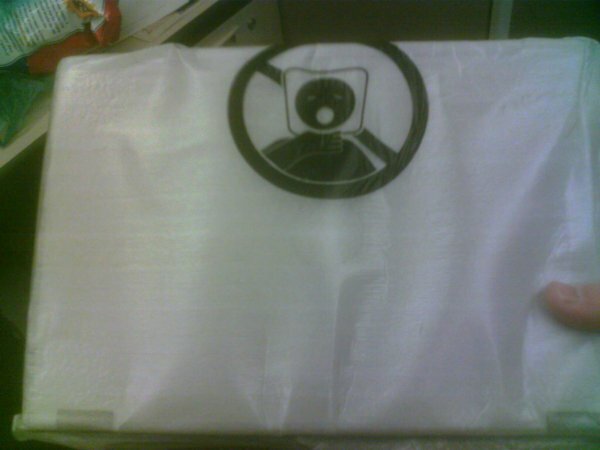 so they put the warning about not killing yourself with the bag 24 inches away from the hole in which you'd put your head when trying to kill yourself. maybe that gives some credence to my pillow interpretation.